Each scholarship aims to support a talented artist/craftsman residing in Luxembourg, who in a continuing educative approach wishes to perfect his or her know-how or take complementary or transversal courses particularly in a school of Fine Arts, a training centre, a workshop or residence, in Luxembourg or abroad. The winners are selected by a jury consisting of personalities in the world of crafts selected by the association De Mains De Maîtres Luxembourg. 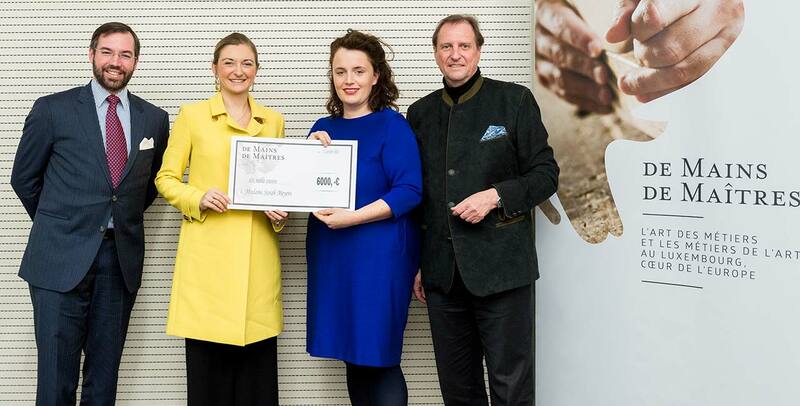 Scholarships cannot be combined with other scholarships or grants with a prize of up to € 10,000.-, the scholarships are awarded to the winning creator / artisan at an official presentation during the autumn of 2019. Comprehensive description of the project in terms of expertise improvement or the complementary training: including the motivations and intentions for the project, as well as the school, the training center or the location in which the process of continuous training will take place (documentation, website or any other information).